If you want to buy cheap las palmas shirt for 2018-19 season, buy it here in cheap-football.com , Check our exclusive range of las palmas Football Shirts / Soccer Jerseys and Kits for adults and children at amazing prices. Get the cheap las palmas jersey shirts, soccer kits with wholesale price, Free Shipping Worldwide! 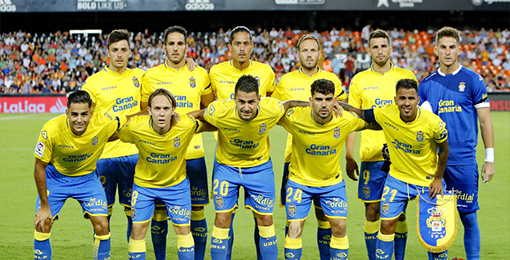 Las Palmas is a professional Spanish football club based in Las Palmas de Gran Canaria, Canary Islands. Founded on August 22, 1949, it has played 34 seasons in the First Division the highest category of professional football in Spain , where it occupies the nineteenth position in its historical classification. In the 2018-19 season he will play in the Second Division.